The Art Gallery in the Palazzo Brera is with over 2000 works, including many masterpieces, one of the most important art collections in the world. The history of the most famous Opera Theatre, a collection of valuable theater objects, paintings and a collection of the works of Verdi can be seen here. Closed on 7 December, 24 December in the afternoon, 25 December, 26 December 31 December in the afternoon, 1 January, Easter Sunday, first of May, 15 August. 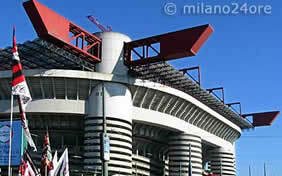 History and Legend of the two Milan soccer teams AC Milan and FC Internazionale with guided tour of the San Siro stadium. The most famous painting, the Last Supper of Leonardo da Vinci is located in the refectory of the Santa Maria delle Grazie. 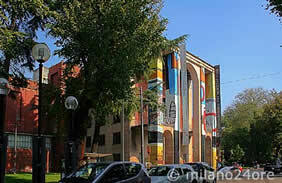 The design Museum Triennale is located in the Parco Sempione. There are both permanent exhibitions such as the permanent Collezione del design italiano, Coffee Design, il Fiat Cafe La Triennale and l'art book as well as changing exhibitions. The Museum of Science & Technology Leonardo da Vinci is located in the former convent of San Vittore from the 16th Century and contains on 40,000 m² an extensive collection on the history of the industry and technology. 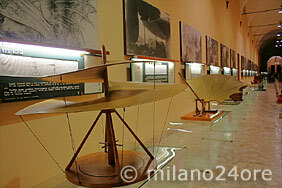 Two exhibitions on Leonardo da Vinci, about his 20-year ministry in Milan. 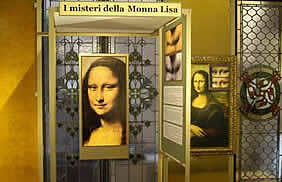 Leonardo as a scientist and his inventions and "The mysterious smile of Mona Lisa", an international study object. 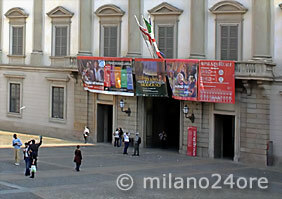 The Royal Palace Palazzo Reale in Milan hosts regularly changing special exhibitions. 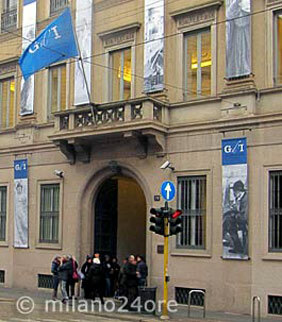 In 2010, the Museo del Novecento has been opened in Palazzo Arengario, Piazza Duomo. In a wondeful atmosphere you can admire over 400 masterpieces, mostly of Italian artists of the 20th century There are art styles represented such as Cubism, Futurism and metaphysics. 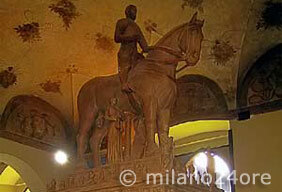 In 2011 the Museum "Gallery d'Italia" has been opened in Milan. A great collection of paintings is located in 2 historic palaces: Palazzo Anguissola and Palazzo Beltrami in Piazza della Scala. 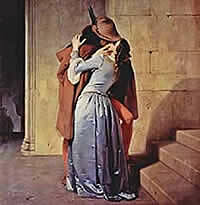 Palazzo Anguissola hosts works by artists of the 19th Century, including Francesco Hayez, Gerolamo Induno, Angelo Inganni, Mosè Bianchi di Gaetano Previati and Aristide Sartorio. 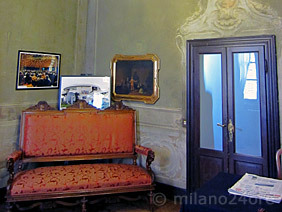 Other works by artists of the 20th Century located in Palazzo Beltrami. 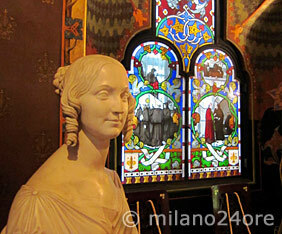 The museum is located in the home of Baron Gian Giacomo Poldi Pezzoli and is one of the most beautiful museums in Milan. The art collection includes paintings of Sandro Botticelli, Andrea Mantegna and Lucas Cranach. The Gallery of Modern Art is located in Villa Reale. Formerly the villa was known under the name of Belgiojoso Bonaparte. 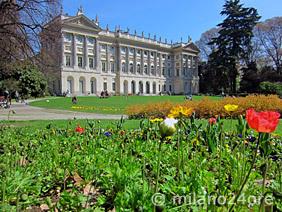 The villa dates from the late 18th Century and was inhabited by Napoleon Bonaparte during his time in Milan. The Gallery of Modern Art houses masterpieces of Van Gough, Paul Gauguin, Edouard Manet, Francesco Hayez, Antonio Canova, Giuseppe da Volpedo Pellizza a.o. The villa is surrounded by a beautiful English garden. 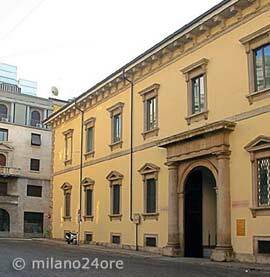 The Italian writer Alessandro Manzoni (1785 - 1873) bought in 1813 the house in Via Morone and lived there with his family until his death. His most famous work is the novel by Alessandro Manzoni, the promised spouses (I Promessi Sposi). 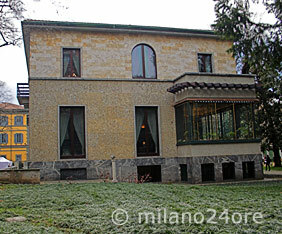 The villa was built in the earlies of the 20th Century by the Milanese industrialists and producer of sewing machines Necchi as an elegant town villa with heated swimming pool and tennis court. The original furnished villa can be visited. The Cimitero Monumentale in Milan is not just a cemetery, but a huge open-air museum with statues, obelisks, temples and many stories that abound in Milan's famous personalities. Casa di Riposo by Musicisti is a private foundation of Giuseppe Verdi and retirement home for musicians. 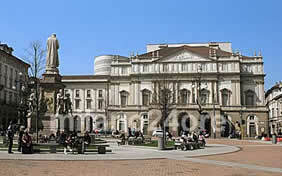 The grave of Giuseppe Verdi can be visited in the court. Museum of Natural History about the history of man, mineralogy, paleontology and zoology. 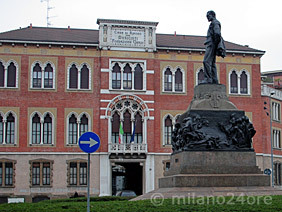 The Museum of the Risorgimento in the ancient Palazzo Moriggia time shows testimonials from Milan's history from Napoleon to the King of Italy. 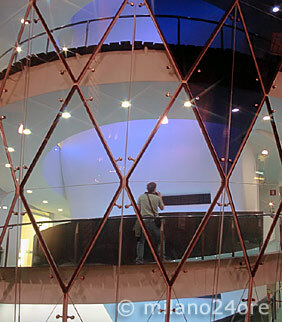 In the planetarium there are held shows and lectures Tue-Thu 09.00 pm and Sat / Sun 03:00 pm and 04:30 pm. The Maritime Museum, Aquarium, Civic, houses numerous marine species and exotic animals from tropical waters. The Codex Atlanticus of Leonardo da Vinci in the Ambrosiana Library. 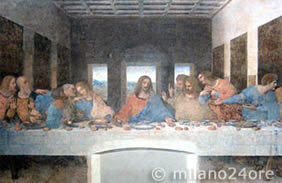 Combine skip-the-line entry to Leonardo da Vinci’s ‘The Last Supper’ with a visit to the Brera Art Gallery, in Milan. 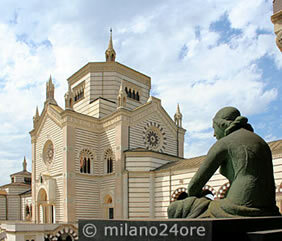 Choose your preferred date and time to see Leonardo's 'The Last Supper' and the Ambrosiana Art Gallery.